You will see the following window with the options. If you already have a Google account, you may sign in at once. If no, press this button and follow the steps. You may find a lot of interesting videos. Type in what you want to find and click a search button. You may find useful links on this sidebar. You may set the language of a page, the country and other options. Type in your Google email or a phone and click "Next", then enter a password and log in. 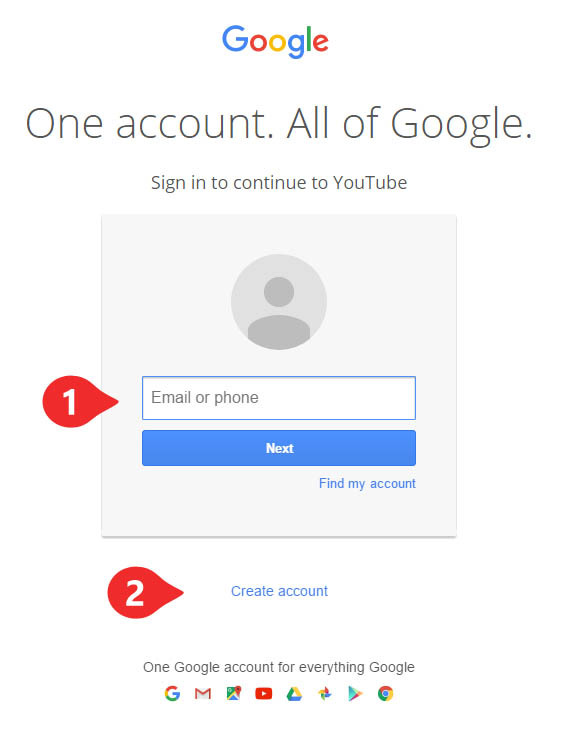 If you do not have a Google account, you may create one to use Youtube. If you do not log in you will still be able to search, watch and share videos. 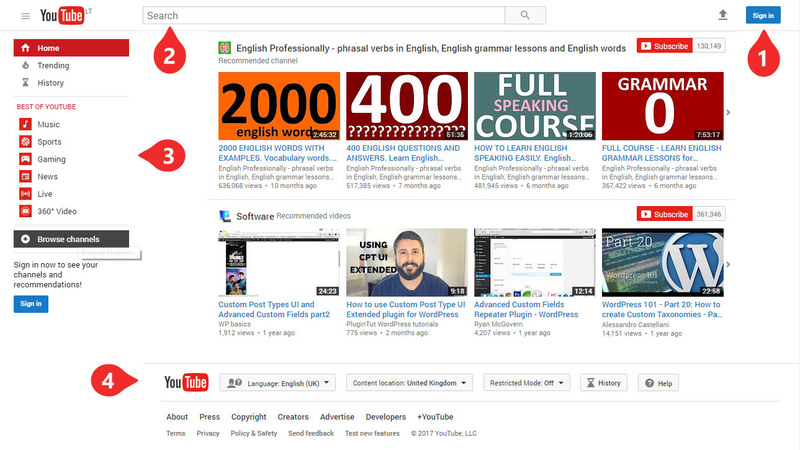 Press on the Video bellow to play the guide for using Youtube.